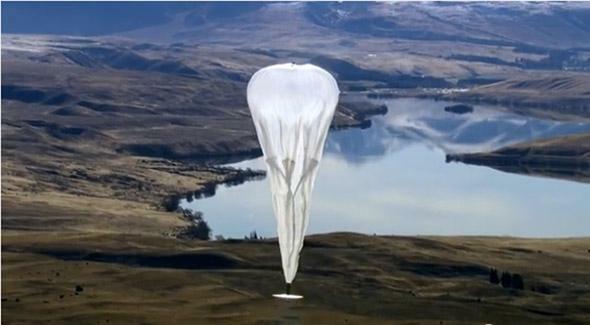 New Zealand's emergency services responded to a Google Loon balloon. A Google Loon balloon on a tranquil day. Google’s Loon project is all about good vibes—inclusiveness, world connectivity, access to information, etc. But the balloons themselves, which look sort of like airborne jellyfish, are a little out of place in the skies. And they’re causing some freak-outs. Last week, for example, a bystander in New Zealand mistook a Loon flying over New Zealand’s South Island for a plane crash and called emergency services. According to the Wall Street Journal, the response included a rescue helicopter being sent out to survey the scene. Google Loon balloons fly at double the altitude of commercial aircraft, and Google has been testing them around New Zealand, where they coordinate with air traffic control authorities. The rescue helicopter located the Loon, which had landed in the ocean, and identified it as a balloon, not a wrecked plane. At least no power lines were hurt this time.